Kate's principal academic interests lie in property law and legal education. She is a nationally recognised law teacher, using research-informed approaches to teach property law and in designing and teaching subjects that offer students a future-focussed view of legal practice. Kate publishes and presents both in Australia and internationally in academic, professional, and community contexts. Her work encompasses legal education, property - particularly land tenure, sustainability, social justice, and gender equality. She is the editor-in-chief of the Legal Education Review, and the Queensland editor of the Alternative Law Journal. In addition to her academic writing, Kate contributes regularly to various media outlets as a commentator on contemporary social justice issues, especially concerning gender equality. She is active on social media, blogging at https://kategalloway.net/. Throughout her career, Kate has been involved in the community legal sector, including having worked to establish the North Queensland Women's Legal Service and currently serving on the management committee of the EDO (NQ). Kate's principal teaching area is property law. 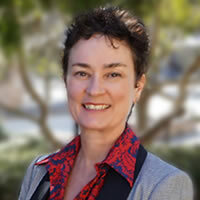 She has also taught for many years as part of the first year program in foundations, law in context, and contract law. She has designed subjects in international law, mining law, and ethics.